Tory Burch's story began in 2004 in the Nolita neighborhood in New York City. Since the opening of that flagship boutique Tory Burch has achieved an impressive degree of success. Tory Burch was awarded the "Rising Star Award" by the Fashion Group International and was deemed "The Next Big Thing in Fashion" by Oprah Winfrey. Tory Burch's all-American pedigree greatly influences her designs, but her fashions are sought after the world over. The Tory Burch eyewear collections are inspired by film, travel, art, photography, and her own rich experiences.Every frame in the collections speaks to people who cherish timeless styles while always looking for that next new innovation. Due to manufacturer's restrictions, Tory Burch products cannot be shipped to Australia. Tory Burch TY7099 is a Full Rim frame for Women, which is made of Acetate. 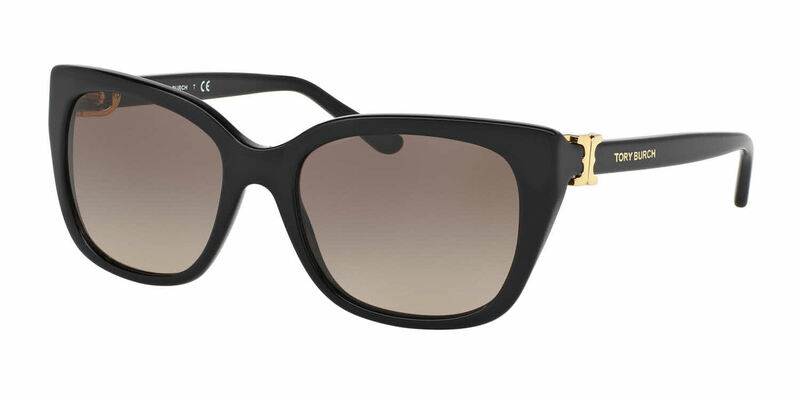 The Tory Burch TY7099 Sunglasses feature the following logo: Tory Burch on temple. Tory Burch TY7099 Sunglasses come with a cleaning cloth and protective carrying case.